A unique solution designed for big set-ups which offers dining facility in their canteen to employees. 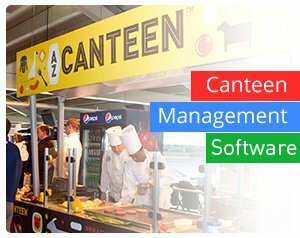 Canteen Management System is designed to create transparency between the employee, company and vendor. It reduces the worry of unauthorized usage where as software helps to automate the complete process. Star Link device, Industrial Model with Printer is linked with this software which prints the coupon. The printed coupon acts as a record for the vendor where as the input data acts a record for admin. Online Operation through software:- In this process, once the employee processes his/her order, then his identity and other details are authenticated by the software and then order is placed and thus receipt is generated. No employee can place multiple order. Smart Card Authentication:– In this process, an employee has to authenticate by their smart card which includes their details and thus their order will be placed. 1. First type of order that can be placed is: item wise and quantity wise, in which user can place the order according to their wish without any bar of quantity and item. 2. Second option for order placement is that quantity of any item will be fixed only you have to enter the item. 3. Third option for order placement is that the quantity and item is fixed according to the time setting. Suppose if it is noon, then lunch will be served or if it is evening then tea with snacks will be served (depending on the policy of the company)..